We include information and links to sanctuaries for animals who have been rescued from abuse and will now live out the rest of their lives being nurtured and loved. These sanctuaries also strongly promote veganism. Find more Links Directories HERE. A nonprofit sanctuary for abused and discarded farmed animals, founded in 1989. Rescued individuals and indigenous wildlife share 60 acres of forest, meadow, pasture, hills and small lake. Animal Place is also a humane education center that works to promote cruelty-free lifestyles and veganism. Our Mission is to rescue in need those who have been abused, exploited or discarded, rehabilitate through patience, love and respect, educate individuals on cruelty free life through daily choices. Located in the heart of Niagara's orchards and vineyards, Asha Sanctuary is on 27 acres of cleared and preserved forest, with a mission to begin the magic when people meet farmed animals for the first time. At Asha Sanctuary, we will let the animals tell their story. It’s a simple one of just wanting to be loved and respected. They will tell us with a loving kiss, a warm nudge, or a still look that captures our hearts and changes our minds forever. BaaHaus is dedicated to helping abused, neglected, and abandoned domestic animals, particularly farm animals that, due to past treatment, would be difficult to place through adoption. Home to Mr Piggy - a wild boar - a goat, eleven cats,six dogs, 80 hens, and two humans. Our aim is to give all our animals a loving home, peace and quiet to live out their lives. We are a vegan sanctuary dedicated to a vegan way of life, and we always promote veganism. Blackberry Creek Farm Animal Sanctuary was founded in November of 2014 by two middle school teachers who wanted to pair their love of animals and their concern for students to create a more compassionate world. By partnering children and adults who have suffered loss, trauma, neglect, or loneliness with animals who have experienced the same, magic is sparked. BAS is an animal sanctuary for unwanted farm animals whose lives are threatened. They raise awareness of factory farm atrocities while promoting a happier healthier and more humane way of life between humans, animals and the environment. Provides a safe and loving haven for abused and abandoned horses and farm animals - animals who have never known warm shelter, spacious pastures, good food, or the touch of a kind hand. Since 2001, CAS has provided refuge for about 1,300 such animals, including horses, ponies, cows, goats, sheep, donkeys, pigs, rabbits, and a variety of birds. Located just outside Stratford, Ontario, the sanctuary a place of hope for animals rescued from the abuse, neglect, and slaughter found on meat, milk, and egg farms. Hundreds of farm animals, including goats, pigs, sheep, donkeys, chickens and ducks have been rescued since the sanctuary began in 1999. The animals who call Chenoa Manor home have come to us from a variety of circumstances. Many arrive at the sanctuary after suffering the abuses of factory farming, others were subjected to cruel and unnecessary lab experiments, or simply abandoned in the wild and left to fend for themselves. Chicken Run Rescue is the only urban chicken rescue of its kind and receives no support from any other organizations, institutions or agencies and depends entirely on donations and sales of art merchandise to continue helping chickens. There is a special need for rooster homes. Don't breed or buy - Adopt. We give permanent sanctuary to abandoned chickens or chickens in need of a home for some other reason. We offer information on chicken care to individuals and strive to educate the public about the effects of factory farming on the animals, the environment, and health. Clorofil is a nonprofit micro-sanctuary located in the San Francisco bay area. We are promoting chicken adoption and educating the public about pet chicken care. We also give talks about farmed animals and the impact of animal agriculture on our planet. We are located just north of Reno, Nevada. We are a small 501(c)3 operation that provides a lifetime home for abused and rescued farm animals, plus care and protection for wild animals who share our beautiful canyon. We believe there’s no good reason to hurt or kill an animal for something we don’t need. Because of this, we are vegan. Coming Home is building a nurturing environment for abused, abandoned, and neglected rabbits and factory farm animals where they can live out their lives in peace. The sanctuary is committed to raising awareness about rabbit welfare and to eventually working with humane societies to address the problem of neglected and abandoned rabbits. At Eden Farm Animal Sanctuary farm animals are given a home for life. They are treated with compassion, dignity, and respect; their rights are honoured, and we do everything we can to help them have lives that are as enjoyable as they can be. The animals at Eden have been saved from a life of torture and certain death, usually in their infancy or early childhoods. After the recent rescue of a goat from a goat factory farm: "We cannot save them all, but this little girl goat is an ambassador to prove that if we want, we can do it. We cannot pretend anymore and cannot look to the other side. These animals were born only to be eaten. Now she is an ambassador and our farm sanctuary is a candle in the middle of the dark." FOTF's mission is to rescue and care for industrialized farm animals while educating and bringing awareness to people about living the peaceful vegan lifestyle. By loving them, taking their time to gain their trust, giving them an enriched life, and basically allowing them to be free of judgement and expectations, we believe this will allow them to become ambassadors for their species. The Farm Animal Rescue of Mifflinburg provides PERMANENT SANCTUARY, providing the same rehabilitative services as other rescues but also addressing the seemingly never-ending cycle of settling in - upheaval - settling in - upheaval. It is our belief that herd animals are especially vulnerable to severe anxiety as a result of frequent changes to their range and the loss of herd members to whom they may have grown attached. Works to end cruelty to farm animals and promotes compassionate living through rescue, education and advocacy. We envision a world where the violence that animal agriculture inflicts upon people, animals and the environment has ended, and where instead we exercise values of compassion. Friend Animal Rescue Friend Animal Rescue started on a cold Monday morning at Seven Oaks Market in the early 1990's with the purchase of a lamb by vegan activist Marion Easton. Little did she realise how that day and that £1 purchase was to change so many lives. To this day the vegan message is paramount, along with campaigning for farmed animals. At The Gentle Barn we stand up for the innocent, and we help animals and children alike remember that they matter. By teaching empathy and uniting kids with all life, our At-Risk Youth program helps turn these kids from the inner city into protectors instead of abusers. We open people’s hearts to the connections with nature. We open people’s minds to what is happening around us. And we inspire people to be an integral part of the solution. When she was eleven, Zoe Rosenberg decided she wanted to create a chicken rescue. She wanted to rescued unwanted chickens people purchased for their backyards. When she found out that she could rescue industry hens instead, she knew there were more chickens there who needed her. Billions of chickens are murdered for food each year, she wasn't going to ignore the issue. We provide a forever home for all types of animals rescued from the farming industry where they will live out their entire lives in a beautiful natural setting treated with kindness and respect. It is time we brought humans and animals back together, to connect and experience each others personalities, wants and needs, and you will be surprised, they may not be that much different. Happy Trails Farm Animal Sanctuary Inc. rescues, rehabilitates, and provides an adoption program for abused, abandoned, and neglected farm animals such as horses, ponies, pot belly pigs, farm pigs, chickens, ducks, turkeys, sheep, goats, and cattle. Animals in our program must have been removed from a situation of abuse, neglect or abandonment by law officials, and cruelty charges must be filed against the person(s) responsible for the crime. HAHF was founded in 2006 from a need to establish a permanet and humane placement site for the unwanted animals from Wagner Farm. HAHF is the sister organization of Wagner Farm Rescue Fund. It is also a mission of HAHF to be a placement site, both temporary and permanent, for other farm and non-farm animals with specisl needs. HAHF, along with its sister organization Wagner Farm Rescue Fund (WFRF), is also the founder of The H.E.A.R.T. (Helping Each Animal Receive Time) Coalition, which has been formed to network with other non-profit organizations in conjunction with their rescue of animals such as farm animals, domestic cats and dogs, feral cats, race track animals, and wildlife. Our mission is to provide life-long care for these animals, and to educate the public about humane animal care and practices. We rehabilitate, both physically and psychologically, mistreated animals and, if possible, we will find appropriate homes for them. Hen Harbor is a non-profit, 501(c)(3) organization founded in 2012 with the goal of providing lifelong care and sanctuary for hens – particularly those rescued from the factory farming industry. Our goal is to adjust society’s view of farm animals, promote a plant-based diet and its impact on the welfare of animals, and allow our animals to live out their lives with well-deserved peace and dignity. Hog Haven Farm is a recognized 501(C)(3) nonprofit organization in Byers, Colorado. Our mission is to provide a safe, happy home for potbellied pigs who are rescued from situations of abuse, neglect, or abandonment. We promote pigs as the third domesticated pet, and provide therapy and outreach programs with our pigs. As one of Pennsylvania’s only all species and farm animal rescue, Indraloka provides “heaven on earth” for 165 animals that have nowhere else to turn. We educate the community, especially children, on ways in which we can better care for ourselves and the environment while helping animals in need. The Institute for Animal Happiness (IFAH) seeks to educate about, and alleviate the suffering of, both humans and non-humans. We aim to do this via programs to rescue and care for abused animals, as well as to establish and share creative programs, resources and offerings that inspire change. We want to rescue more animals as well as foster greater awareness and understanding through creative mediums. At Iowa Farm Sanctuary, we will provide a safe haven to rescued farm animals in need of love and compassion while providing humans the opportunity to experience the unique sentience and intelligence found within these animals. Juliana’s Animal Sanctuary was the first farmed animal sanctuary established in all of South America in 2009 and is the only one existing in Colombia where we currently care for 96 rescued animals. In addition to our extensive animal rescue work, we place a high priority on vegan advocacy through direct contact, cooking classes, and a strong online and media presence. We are a 501(c)(3) non-profit organization dedicated to ending the abuse and suffering of farm animals through rescue, advocacy and education. We seek to provide a place where people can connect with these sentient beings and discover their unique (and often humorous!) personalities. At Kindred Spirits, farm animals are our friends, not our food. Our mission is to promote whole, vegan living through education and experience designed to celebrate the connectedness of all living beings, to provide sanctuary for animals of all species, and to share our message of compassionate healing throughout the human community. The sanctuary is an all volunteer, non-profit organization created to provide shelter and care for abused animals, and humane education to the public. Part of the mission is to put an end to factory farming. The Lighthouse Farm Sanctuary was formed to guide animals in need to the safety of calm waters. The Board of Directors, volunteers and supporters are dedicated to light the lantern to guide those abused and neglected animals; to prevent disasters; and to prevent needless loss of life.. a guiding light to safe harbor. Our Mission is to provide refuge and guardianship for farmed animals, inspire a community to think differently through education and outreach, and promote a more compassionate lifestyle. An animal sanctuary providing lifelong homes for abused, abandoned and unwanted farmed animals while promoting veganism and respect for all life through public information. A microsanctuary starts from the premise that our space and our resources, no matter the size, are often more than sufficient to provide sanctuary to individual animals in order to prevent them from ever again being used as commodities. Though The Microsanctuary Movement in many ways focuses on typically farmed species, any vegan home for a small number of individuals rescued from exploitation can be a microsanctuary. We focus on species that humans don’t usually view as companions, whether they be chickens, pigs, fishes, mice, rats, rabbits, insects, and others. This ground-breaking effort offers a permanent home to pigs, cats, dogs, rabbits, rats, mice, and others, where they will never suffer in the name of vivisection or be confined alone in small cages again. Many labs are starting to retire some animals to sanctuaries rather than euthanize but there is currently nowhere for them to go…. Until now! We are a 501(c)3 non-profit organization dedicated to the rescue, rehabilitation and adoption of animals in need. Whether victims of financial difficulties, neglect or abuse, we are committed to taking in unwanted animals brought to us via owner surrender, as well as by animal control. In addition to caring for these animals, New Moon Farm strives to promote compassion and respect for all living creatures through a presence in the community and by offering educational opportunities. Our interactions with the animals in sanctuary depend completely on building authentic relationships. There are no training methods, means of coercion, or food based rewards involved. We are a vegan facility dedicated to inspiring change and educating others about the benefits of a plant-based diet. North Mountain Animal Sanctuary is a registered charity located in the Annapolis Valley of Nova Scotia. Our mission is to provide care, comfort, and rehabilitation to abused, neglected, and unwanted farm animals. 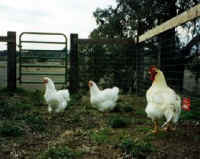 At present we provide shelter for goats, rabbits, sheep, ducks, pigs, and chickens. We work to prevent the suffering and neglect of farm animals by raising public awareness. We believe in second chances, which is why we specialize in animals who have special needs, and our primary purpose is to provide lifelong care and sheltering of animals who, while still able to lead a quality life, are unable to find homes due to age, temperament issues, chronic illnesses, disabilities, or other factors. We provide permanent housing and care for a variety of abused, neglected or abandoned animals including large farm animals, pigs, rabbits, chickens and dogs. We promote the humane treatment of all animals and advocate for an end to factory farming and we promote a vegan diet through public education including leafleting, tabling at public events and newspaper articles in the Portland area. We investigate animal cruelty crimes and provide sanctuary and rehabilitation to animals who have suffered from abuse and neglect and we advocate for better laws to protect animals and work to educate the public about how they can help end animal suffering. Our 7 Lives 7 Days site: You have the power to help end animal suffering with the choices you make every time you sit down to a meal. The sanctuary was founded to provide a happy and healthy forever home for farm animals in need in the spirit of Honoring ALL Creation. The animals at Peaceful Prairie Sanctuary come in all different sizes and shapes but they all share the same need: a safe loving home and caretakers who respect their individuality. They join the many rescued farm animals who had been exploited and used in agribusiness. Peace Ridge was founded in 2001 in order to address animal cruelty, neglect and exploitation, and to promote vegan ethics in New England. We advocate for all animals - farmed animals, domestic companion animals, and wildlife. We believe society needs to rethink the way that it views and interacts with animals in order to become a more peaceful and just society. Piedmont Farm Animal Refuge (The Refuge) is a non-profit organization that provides lifelong sanctuary to farm animals in need, educates the public about the cruelties of factory farms, and promotes veganism by offering knowledge, support, and community to people interested in living cruelty-free lifestyles. The part of Piebird that is most special is the joyful depth that the individual personalities of each of the animal-friends are celebrated. We believe these human-animal connections will allow people to see "farm" animals as friends and not as food or for service -- helping these individuals to then make the compassionate choice to go vegan. There is always life-changing, inspiring magic when we meet a new friend for the first time! Dedicated to providing a safe home for unwanted, abused or neglected animals in need and is committed to spreading the message of compassion and respect for all animals. A 400 acre non-profit refuge for farm animals and wildlife located in Poolesville, Maryland. We offer care, rehabilitation, and permanent sanctuary for neglected, abandoned or unwanted farm animals. Dedicated to rescuing and providing a safe home for abused, neglected and abandoned farm and companion animals, teaching humane education and advocating against practices that perpetuate animal suffering. What started as a private activity of rescuing a couple of goats, Rufus and Reggie from Animal Place, has been evolving into a little sanctuary. We've been able to provide a home for goats, sheep, cows, pigs, chickens, and ducks. Life on the ranch doesn't get any better - or more compassionate - than this. Our mission is to provide a forever home for rescued farm and domestic animals. We also rehabilitate injured and orphaned beavers and prepare them for release back into the wild. We work to educate the public about the many things they can do to make this a better world for animals while striving to improve our planet. River's Wish Animal Sanctuary is located on 65 acres in Spokane County and is dedicated to helping animals in need. The sanctuary is named for River, an inspiring dog whose love encouraged us to do more. River himself was a shelter dog and our constant companion. After a yearlong courageous battle with cancer, we sadly said goodbye to River in 1999. River’s Wish offers sanctuary to rabbits, dogs, cats, goats, horses, donkeys, pigs, chickens, turkeys and more. It is the dream of River’s Wish, that every creature is able to live a full and joyful life. Rooterville was inspired by farm animals in need, like Stella, and founded on a singular principle: Compassion. We believe true happiness, a better world, and recognition of our religious ideals require compassion and mercy for animals, our fellow people, the world we need to live in, and, most importantly, ourselves. Our mission at Rooster Haus Rescue is to give neglected and abused farmed animals a safe future, free from harm. Our primary focus is to rescue, rehabilitate and give or find permanent sanctuary for roosters, who have fallen victim to the cruel and illegal underground world of cockfighting. Rooster Haus believes in ending all animal abuse and exploitation therefore vegan principals are our way of life. Why a rooster rescue? ​Roosters (male chickens) are viewed as one of the most "disposable" animals on the planet due to the fact that they don't lay eggs and many cities prohibit them. For every egg-laying hen, there's a homeless, abandoned, or dead rooster. Rooster Sanctuary at Danzig’s Roost is a non profit 501 (c) 3 organization that provides shelter and advocacy for roosters and other farmed birds who have been fortunate to escape the cruel hands of the animal use industry. The sanctuary is run by two dedicated vegan activists, Jason and Jewel, who both work full time jobs to support the sanctuary and residents. Our vision is to create a palpable atmosphere of communion and acceptance where farm animals, visitors, volunteers, and like minds from across the United States and the world will be drawn to experience our transition from a Texas beef cattle ranch to a vegan farm animal sanctuary. At the heart of our mission is the notion that animals are sentient beings who deserve to be treated with compassion and respect. All creatures share the earth with us and are not here to be used by us. Santuario de Karuna is a microsanctuary dedicated to rescuing farm animals. Our promise to each individual that arrives at the sanctuary is to make the "rest of their lives the best of lives." Our primary focus is educating the public about the truths of animal agriculture through living compassionately and humane education as a means to end the suffering of these amazing, sentient beings. SASHA Farm is the midwest’s largest farm animal sanctuary. At our shelter, not only do we provide food and water, veterinary care and a roof over their heads, we also give the animal residents affection, social interaction with others of their own species, and a sense of security. Our lifetime care facility encompassing 30 acres of mixed woods and meadows for the general population and 2 acres of special facilities devoted to those who for physical or psychological reasons are not competitive, or who are elderly, disabled, chronically ill or receiving treatments or recovering from surgeries or illnesses. In the aftermath of Hurricane Florence, as floodwaters receded, groups of factory farmed hogs from surrounding CAFOs began emerging from the forests and wetlands. Sisu Refuge was founded after rescuing some of these pigs. We offer sustainable, safe, life-long refuge for all of our animal residents. This is the number one priority. We would love to facilitate a comfortable experience for our animals and visitors, so that people may learn about their lives and love them as the individuals they are. Farm animal rescue. Rescuing, rehabilitating, advocating on behalf of, and providing lifelong homes for animals. Promoting a vegan way of living. Our mission here at Sky's The Limit is to provide sanctuary for discarded and unwanted chickens. We currently sit on one and a half acres of land in the state of Washington. We are focusing on rescuing chickens because the need is great and we want to maximize the number of lives we can save with the current land we own. A safe haven for rescued farm animals. Each and every farm animal at Sunny Meadow was spared from going to a slaughterhouse and is now living a peaceful, happy life here at the sanctuary. Sunnyskies was created to provide a lifetime home for unwanted parrots and other animals in need of rescue. Over time, we've had a few others come our way – horses, chickens, dogs, cats, and a few very endangered mice. Our mission: to love, protect, care and provide for our furred and feathered family. Our mission is to rescue and rehabilitate farmed animals, provide them with a permanent safe home, and educate the public so as to help change the ways people perceive these species. Tamerlaine is both a sanctuary for rescued formerly-farmed animals and an operating produce farm that makes hot sauces and seasonal foods to help fund the sanctuary. The Cow Sanctuary is a 501(c)(3) non-profit organization. Located in Bridgeton, NJ. The sanctuary provides lifelong care and rehabilitation to cows, emus, horses, goats, pigs, ducks, geese and other animals, many rescued from cruelty and neglect. The Sanctuary at Soledad Goats was founded by Carol and Julian Pearce, award winning goat cheese makers who, in 2015, decided to give it all up and go vegan. Rescued animals live side by side with former dairy goats as they all live out their happy lives. A privately run Sanctuary set up by Fiona Oakes in 1993. Fiona also funds an the only animal sanctuary in Moscow which is run by a group known as VITA. Our mission is to rescue and provide sanctuary to the victims of animal agriculture, to encourage veganism through community outreach, and to promote an eco-friendly and truly self-sufficient lifestyle through organic gardening. Microsanctuary Revolution! What if you have half an acre... or an acre? You CAN have a sanctuary for animals rescued from factory farms and promote veganism. AND we rescue farmed animals who end up in county shelters in the Triangle region of North Carolina to assure they do not go back into the for-profit agricultural system and we promote a vegan lifestyle. A national non-profit organization that addresses the treatment of domestic fowl in food production, science, education, entertainment, and human companionship situations. VINE provides a haven for hens, roosters and ducks who have escaped or been rescued from the meat and egg industries or other abusive circumstances, such as cockfighting. In addition to sheltering and advocating for birds, we conduct research and education aimed at systemic changes in agriculture, trade, consumption, and human attitudes about animals and the environment. At Willowite we are vegan and rescue, foster and adopt as many animals as we can. We currently have about 130 mammals and 50 birds. We publish many photos of the beautiful creatures we share our lives with who are all different and have individual personalities. What they share is the basic right to life and freedom from oppression and exploitation. Dedicated to the care of abandoned and ill-treated domestic and farm animals in Scotland. Provides shelter to cows, pigs, chickens, turkeys, sheep, and goats who have been rescued from cases of abuse, neglect and abandonment. We are a place where visitors can come face to face with these animals who most only know as “dinner” and learn about the devastating effects of modern-day agribusiness on the animals, the environment and human health. A farmed animal sanctuary located in Providence, North Carolina, Ziggy's Refuge is an ever-growing certified non-profit focused on creating better lives for the victims of animal cruelty (namely the meat, dairy and egg industries) by means of shelter, medical care, and education. And it is a Vegan Fundraiser and Events Center. Others coming soon! Please send us an email with additions.